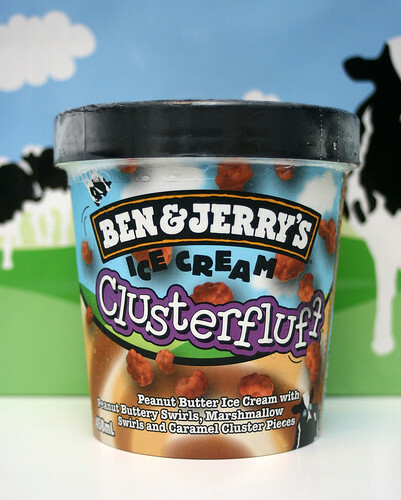 Ben & Jerry has introduced its new flavour for 2011 - Clusterfluff! Singapore is the first country outside of the U.S. to launch this. Clusters of caramel pieces in peanut butter ice-cream with swirls of marshmallow and peanut butter. Can peanut butter get any better? Named rather closely to the other ClusterF word...this one is positioned as the sweet relief to indulge in when all or multiple things go wrong. You'll certainly need a lot of energy to deal with combined SNAFUs - and this one won't fail you in that respect. It's sweet, it's rich, it's the (cluster?)bomb! This is what the ice cream looks like. Gorgeous, no? 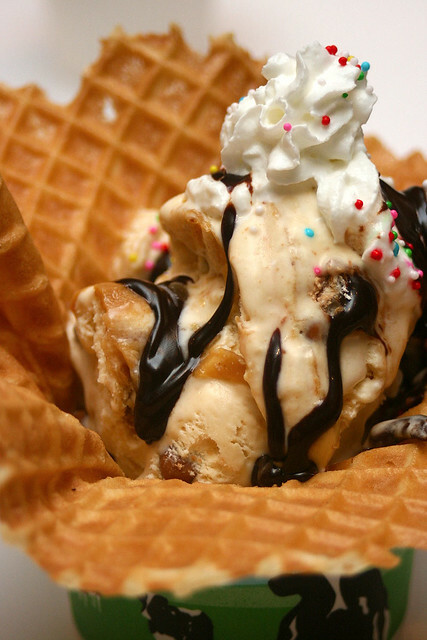 Clusterfluff will be available in scoops, or added to existing products like the waffle bowl. It's being rolled out progressively now, and by April 13, you should see it in all supermarkets and Ben & Jerry outlets/Scoop Shops. 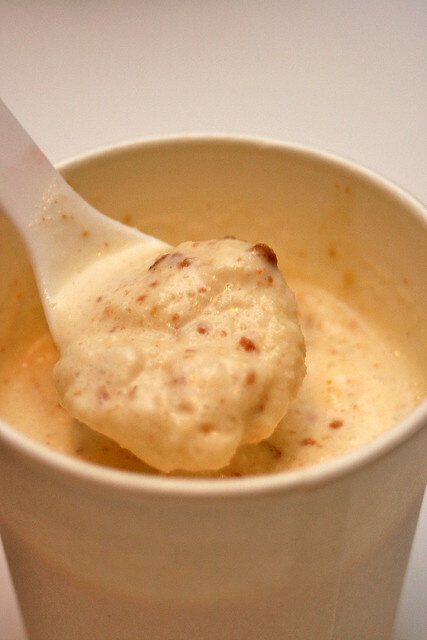 Have your Clusterfluff in a Legendairy Milk Shake - the combination with milk makes it even more comforting. 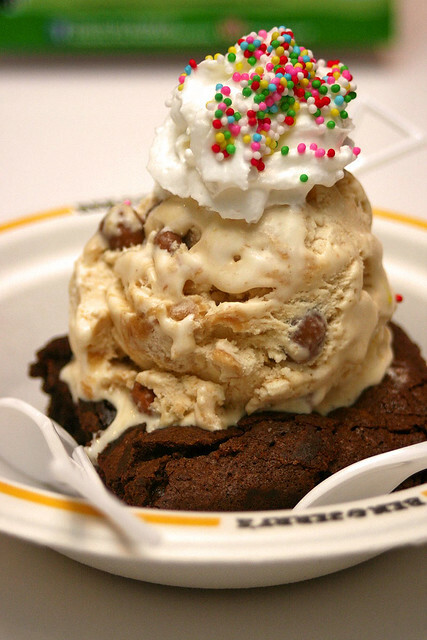 If a single scoop seems too lonely, pair it with a warm brownie. We got to try all three versions at a recent Moolet party that let us preview the new flavour. The launch of the new flavour saw some really fun and quirky activities. A life-sized mascot of the Ben & Jerry cow (named Woody after the guy who drew it) went around visiting Moolets, giving them a mystery scoop of the new flavour (then unannounced). 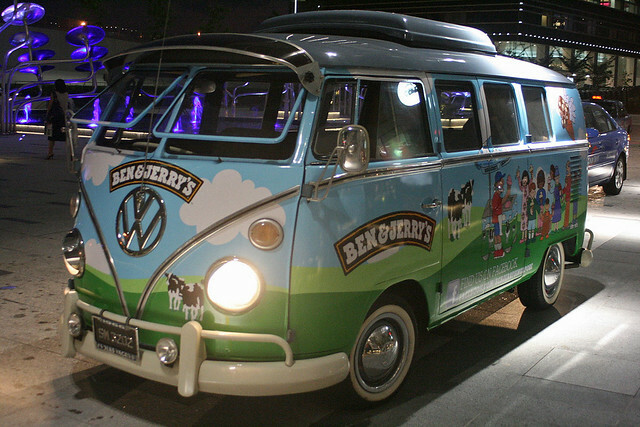 And then a Cowmobile (above) went around Singapore delivering scoops of Clusterfluff to fans. The van is just too cute. They should keep it as a permanent item! 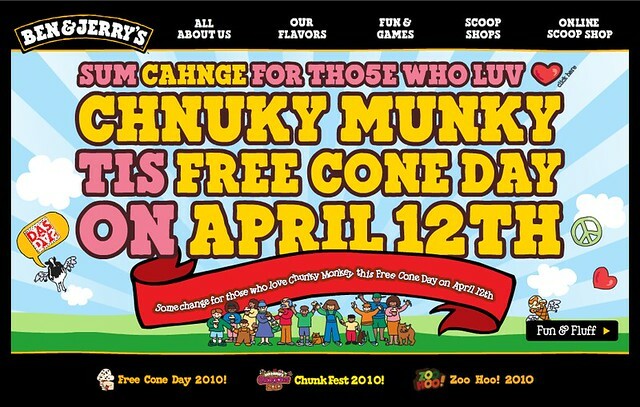 And Free Cone Day this year is April 12. This year, they will be giving out five flavours ( Clusterfluff, A Cookie Affair, Phish Food, Vanilla and Strawberry Cheesecake) at 10 Scoop Shops. Contribute some change, and this will go to the Dyslexic Association of Singapore.